Christmas Fair Success At The Children’s Trust! In #Tadworth @Childrens_Trust raising £14K…. 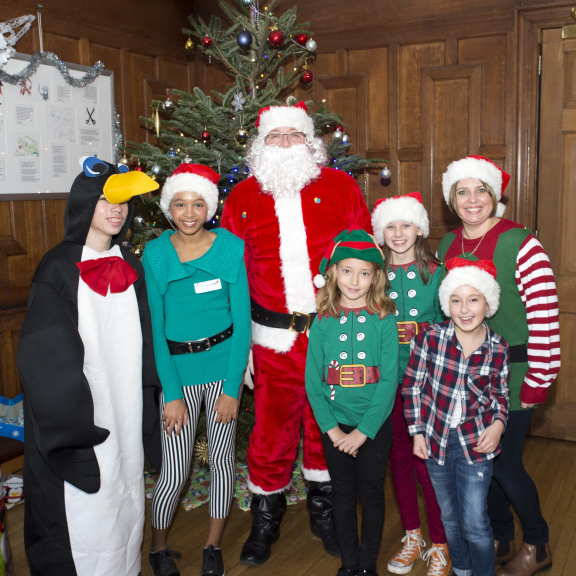 Families flocked to The Children’s Trust’s Christmas Fair at Tadworth Court, at the weekend (28th November) and overall helped to raise £14,000. Over 1,000 visitors turned out to enjoy the annual event. The skating rink, donkey rides, fairground rides and Santa’s Grotto proved to be a great hit with youngsters, whilst older members of the family enjoyed a leisurely browse of a wide range of stalls in the Christmas market. Entertainment was provided by Surrey Hills Radio, Surrey Police Band and the Wallington Girls High School Choir.